I can’t recommend Kefir by Nourish enough! 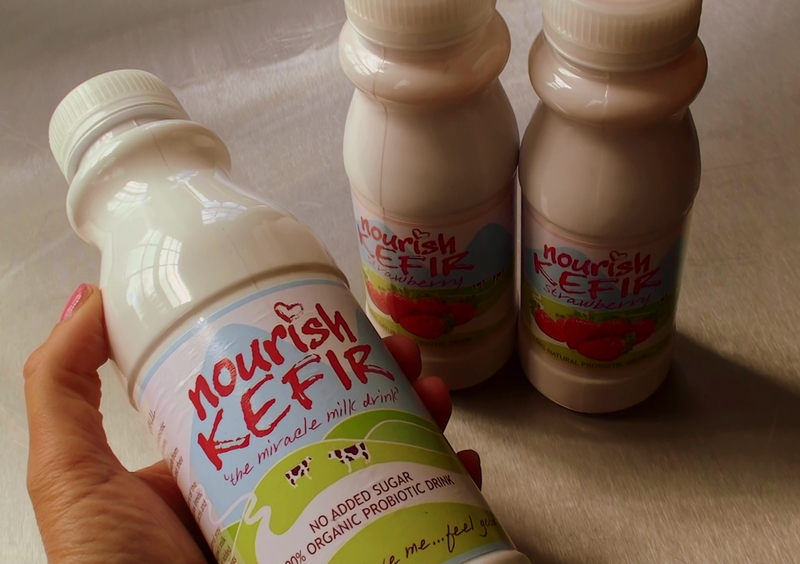 It contains 100% naturally occurring probiotic, made from kefir grains and organic british milk. The probiotics are made during the fermentation process, nothing has been added afterwards. In a 500 ml bottle you get around 12 billion probiotic bacteria. We all know that probiotics boost our immune system, aids digestion and keep harmful bacteria at bay. It also contains lactase, the enzyme that breaks down lactose, which is why I give it regularly to my lactose intolerant 8-year-old. Fermented foods were used a lot in the olden days as a way of preserving, but this method can be a bit temperamental and when large-scale food production started pasteurization was the preferred method, but with that we also lost a lot of health benefits from friendly bacteria. It’s the mix of bacteria and yeast that forms the starter that you then mix with milk. This apperently cauliflower looking stuff is passed on thorugh generations.